I'm not sure what to blog about, so how about this. 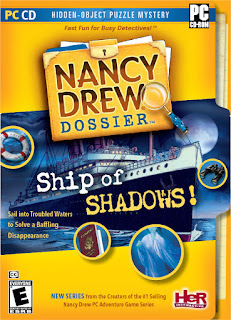 I bet most of you Nancy Drew fans have already seen the OFFICIAL COVER ART For the Nancy Drew Dossier, Nancy Drew: Ship of Shadows. If you haven't, here it is. 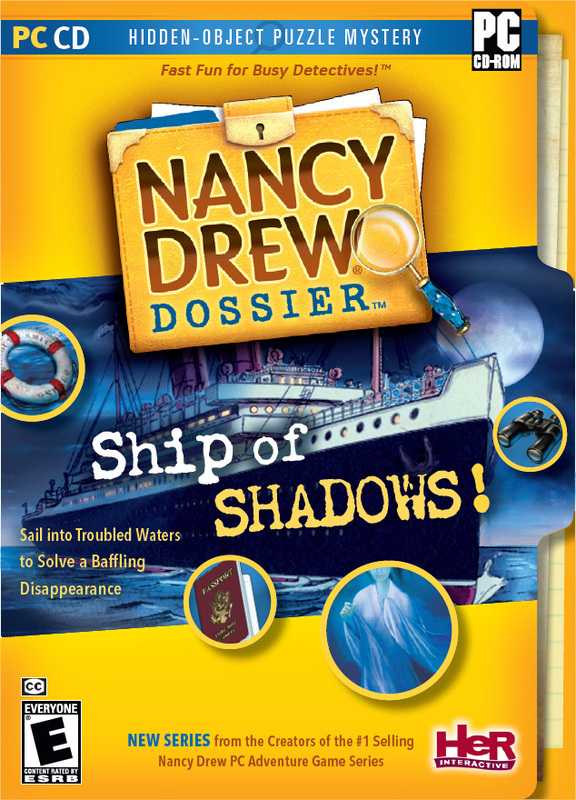 Sadly, this game is not in current production, instead it has been 'shelved' according to Her Interactive.